6 Street Fighter and 6 Tekken characters join the battle, for a total of 12 new fighters! Characters Included: Sakura, Blanka, Guy, Cody, Elena, Dudley, Lars, Alisa, JACK-X, Bryan, Christie, Lei Note: This add-on is exclusive content for STREET FIGHTER X TEKKEN. 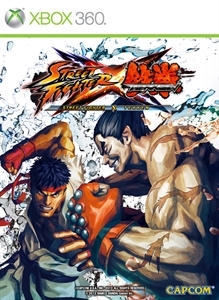 To use this content, update to "Street Fighter X Tekken" Ver.1.06.